Spread the mild glow of your love and affection for your special one with these scented candles. Every time they will light it, these candles will remind them about your love to your special one. It’s a perfect gift for Christmas day, Diwali, Dhanteras and many more occasions. These candles can even add sparks to your Candlelight dinner. Apart from presenting as a gift, you can also buy these candles for your own home. The delightful aroma of these candles will brighten every corner of the home with a soft glow. 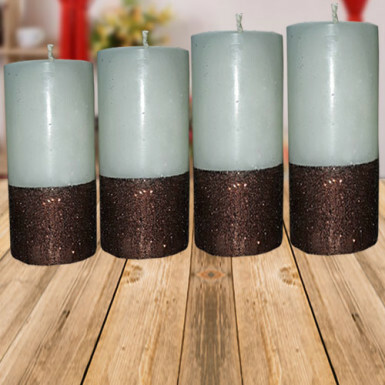 The aura of these 4 candles will surely revitalize your senses and make you feel calm and peace. So, go ahead and place your order for these fantastic candles from Winni.